Local fight fans were served a tasty appetizer on the eve of the Mayweather and McGregor super fight. 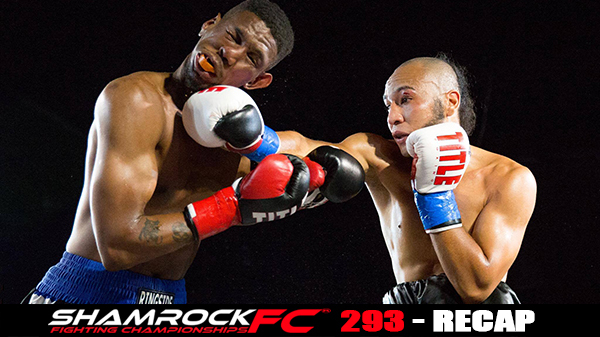 Professional boxing and MMA, made up Friday night's main card at Lumiere Casino for Shamrock SFC 293. Headlining the event was a match-up between undefeated fighters with Kansas City's Calvin Metcalf edging out the hometown favorite Raymond Handson in a six round decision. From the opening bell Metcalf pressed the fight keeping the pressure on Handson negating the taller, rangier Handson from getting distance and working his jab. Although Handson was the first pure boxer Metcalf had faced, it didn't seem to matter as Metcalf put the pedal to the floor, and never let up. The first two rounds saw a lot of clench work with Metcalf chasing Handson around the ring and punching from inside of Handson's range. Handson's best round was in the third as he was able to stay back and peppered Metcalf with jabs, catching him with short hooks when he would charge. In the fourth, Metcalf connected with a right that looked to hurt Handson, and late in the round Handson started to fade. The last two rounds were tough for Handson as he couldn't seem to figure out Metcalf's aggression and was running on fumes for the final stanzas. Metcalf, fighting out of the Authentic Boxing Club, looks to be the real deal as improves to a perfect 6-0. In a battle of two heavyweight fighters it was Tony Johnson Jr getting the win when his opponent Brandon Johnson waved off the fight in the third with what appeared to be a broken jaw. Brandon Jonnson looked to be the quicker and more technical of the two and despite giving up a lot of weight seemed to be getting the better of Tony Johnson Jr. A punch late in the third dropped Brandon, and from there he couldn't continue for fear of further injury to his jaw. Pro MMA fighter Garrett Gross trying to stay active took a short notice boxing match against Ryan Adams in a middleweight contest. Gross, known for being a bit of a slower starter at times, could never get off the starting blocks against Adams. Adams, a seasoned amateur boxer, who connected early with a big punch that seemed rocked to rock Gross. Minutes a later a combination against the ropes would send Gross down and Adams would pick up the win. In the night's only MMA bout of the night, Eric Ellington, St. Louis' top amateur from 2016 returned to action after a 7 month layoff. Ellington made his professional debut in January for Shamrock FC, but an injury sidelined him until Friday night. Facing Ellington was Zach Harvey out of Indiana who almost no answer for Ellington's pressure, a perfectly timed headkick put Harvey on the mat, from there it was academic with Ellington gaining a TKO just a minute into the first round. Ellington, out of Kain Royer's Academy of Courage, improves to 2-0. Seven Corner Road's Chiavy Rith successfully defended his SFC kickboxing title against Jason Brown in the marquee amateur bout. Rith was had a little more snap on his punches and used his angles better to keep Brown guessing. Brown kept moving forward throughout the fight despite getting knocked down in the first round, which most likely won Rith the round in a very close fight. Brown looked sharp in the second, and controlled the center of the ring, and in the third tried to brawl with Rith. After the judges tallied up the votes Rith keeps his title, and adds another impressive win to his resume. Floyd Shahan thoroughly dominated the first two rounds in a fight with Zac Klonowski. Shahan was relentless with his offense and never gave Klonowski a chance to attack. Klonowski did rally in the third but it was too late and Shahan was declared victorious by decision. Adrienne Brusca came out firing against Nashville's Shannon Goughary, stealing the first round and putting Goughary in the hole. Goughary had to reach deep into her bag of tricks and started mixing up her office landing various spinning attacks to keep Brusca guessing. Rounds two and three wen to Goughary, earning her the decision. Shannon Robinson defeated Lyz Lumpkins in the only other female bout on the card. Mike Offor towered over his opponent Brandon Decker, and used his size to connect with a big knee from the clench. Perfectly timed, the KO'd Decker who couldn't continue. Unfortunately for Offor, knees to the head are illegal in amateur kickboxing and Decker was declared the winner. Charismatic striker Paul Ivie looked great for two rounds before fatigue and a few well-timed punches from Anthony Kerby began to slow him down. Kerby stayed poised despite a variety of strikes from Ivie and a few nasty leg kicks. Fatigue slowed the fight to a near crawl in the third, in what was otherwise a very entertaining fight. Austin Woodcock defeated Dominck Boyd in a very close bout. Woodcock from Hahn's MMA was able to control almost all of the first round, before walking into a punch late which allowed Boyd to rally. The third was very close and the judges declared the bout a split decision with Woodcock getting the victory. Brandon Dillick from St. Charles MMA defeated Jacob Thomas with a unanimous decision. Dillick was the more looser of the two and seems to have a lot of potential. Tim Eschenfelder and Mark Perkins kicked things off with Eschenfelder taking home a decision. 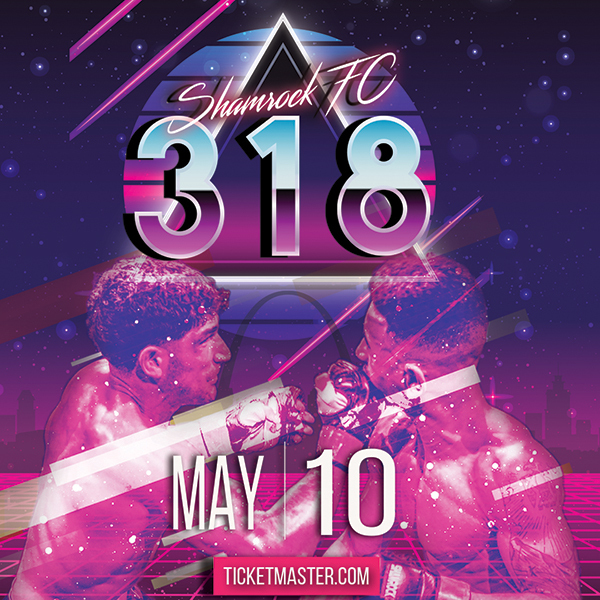 Shamrock FC is back at Lumiere in October followed by another mixed combat shot on November 11th.